When visiting Bintan Island, you'll feel right at home at Nite & Day Laguna - Bintan as it offers quality accommodation and great service. Only 10 km away, this 2-star property can be easily accessed from the airport. With its convenient location, the property offers easy access to the city's must-see destinations. Offering guests superior services and a broad range of amenities, Nite & Day Laguna - Bintan is committed to ensuring that your stay is as comfortable as possible. The property offers access to a vast array of services, including free Wi-Fi in all rooms, 24-hour security, daily housekeeping, wheelchair accessible, 24-hour front desk. The property's accommodations have been carefully appointed to the highest degree of comfort and convenience. 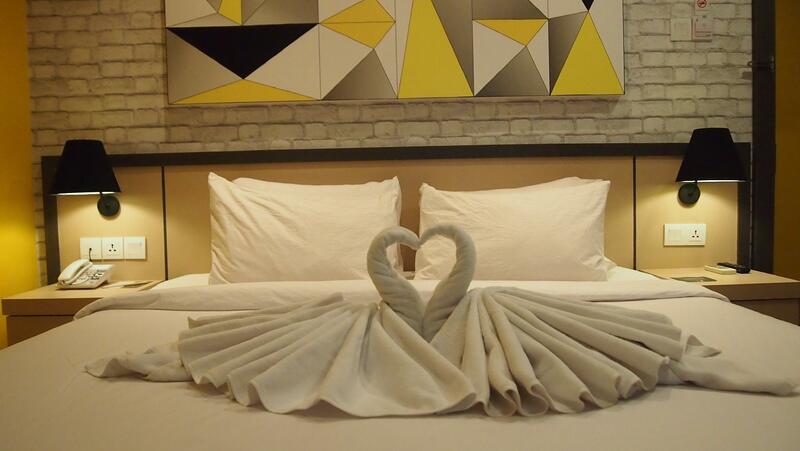 In some of the rooms, guests can find closet, towels, wooden/parqueted flooring, clothes rack, slippers. The property's host of recreational offerings ensures you have plenty to do during your stay. With an ideal location and facilities to match, Nite & Day Laguna - Bintan hits the spot in many ways. + Nice breakfast. Friendly staffs; Agung n Ode accommodating our request. - The aircon took quite a while to cool the room. I choose the hotel as it is the newest addition to the town. and, i never regret my decision. This is one of the best hotel in town and you'll love the room ambiance and the hotel look as well as their friendly staff. Surely i will stay at the hotel should i visit the town again. Located in city center. Room is big and clean. Comfort. Very modern, clean hotel. Simple but cosy. Not all staffs speak fluent English but no problem navigating around. Been at laguna few times before it was upgraded, this renovation was a great one! Breakfast selection pretty limited but I enjoyed the 8th storey dining, able to see the port and some landmarks. The building is still in minor reno stage, everything is new. Excellent location, value for money. 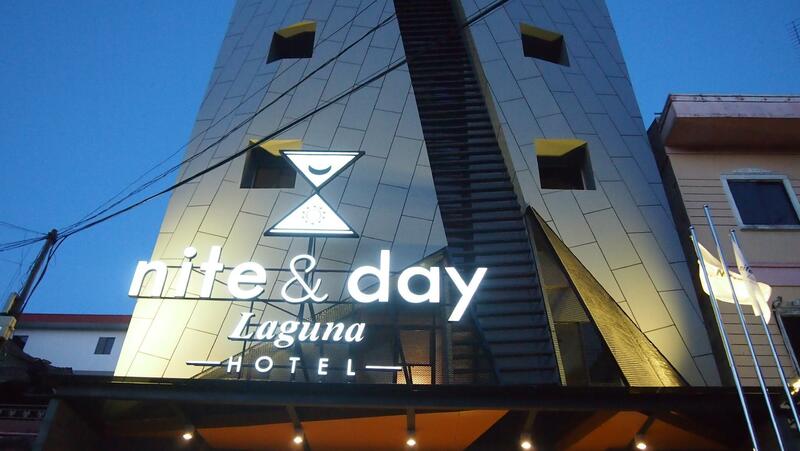 We stayed in Night Day Laguna for a few nights during our trip to Tanjung Pinang. The hotel is newly renovated. We are impressed with everything the hotel offers. Staff are friendly and helpful from the moment we step in and never fail to greet us warmly at the lobby and restaurant. Room is cosy and beautiful with wonderful fixtures and beautiful decor. There is also 24 hours security, making us feel safe. Only feedback is there is no fridge, hairdryer or kettle and coffee/tea in the room. Breakfast is included in room rate and decent, though variety could be improved. Otherwise the stay has been very pleasant and I highly recommend this on your next trip to Tanjung Pinang! I have been going to Hotel Laguna before renovation and saw the transition. It’s clean, beautiful, tastefully done, toilet uses Toto shower. I’m super glad to be be back. Staff speaks good English. Of course there’s cheaper hotels in Tanjung Pinang. But THIS, is the best. In TP. Good size room, air-conditioning satisfied,all others are alright except the running water is yellowish. Is the only new hotel available near the Ferry Terminal. though is not fully complete yet but vary satisfied stay ! Only down side my room is near the Lifts and the staircase so is annoyed when in the wee hours in the night you can hear the lift tone when arrive and there is the gap below the door so hollow sound travel when people talking and walking into our room & disturb our sleep . Staffs are very young, friendly and helpful. Agong has work very long with the hotel, very knowledgeable when seek advice from him about Tg Pinang where to find good food, place of interest etc. also deal with another young staff Risqi, pleasant & helpful. The view on 8th story cafe for breakfast is spectacular. Breakfast spread is good ! My first choice of stay. the room wifi is good. room big and modern design. just the facility need improve.